Cotton-canvas, two-tones patterns (white and cream). Length cm 40, width cm 19, height cm 32. 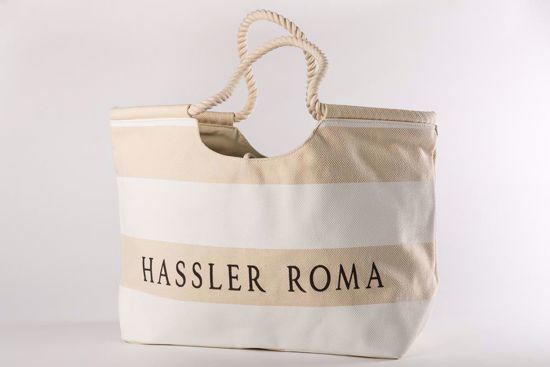 Logo Hassler Roma.